SOP8 Serial Eeprom universal device programmer which works through PC USB port. 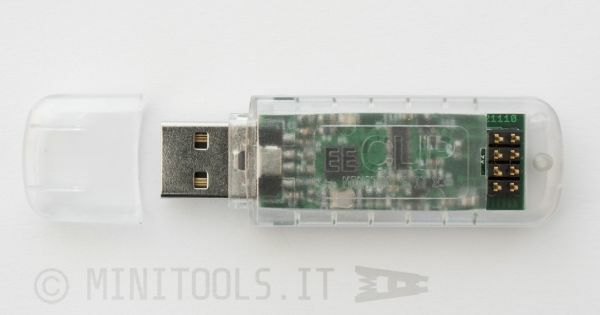 Supplied with EECLIP Windows software to read and program the connected device. 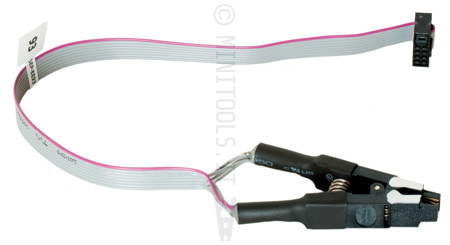 There is a connection wire, with the related Test Clip, for every Eeproms' class. Designed to be easy to use: read or write a device in just 2 clicks. Power supply: no external power supply needed. It can also supply up to 300mA power to the connected (target) device. EECLIP can work both on 3V and 5V devices. Autodetect: the software automatically recognizes the connected device. Editor: you can use and connect the majority of the editors on the market (for instance 010 Editor) with the EECLIP software. 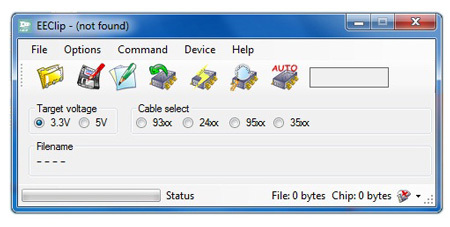 Connecting cable: each cable is dedicated to specific device' categories (for instance with cable 93 you can read all kind of SOP8 93xx both 8 and 16 bits data). Software Update: Internet automatic updates. Supported devices: you can read and program more than 2000 devices in autodetect. For more information or for buying this product go to our online store!